What are pay cards for employees? Pay cards for employees are cards that allow employees to spend funds on behalf of their businesses or employer. As the economy continues to grow, businesses are enjoying greater confidence. The National Small Business Association reported in its 2017 year-end report that 78 percent of small businesses believe that the economy is doing better than it was five years ago, and 84 percent are confident about the outlook of their companies. While the economic picture may be rosy, many small businesses still run into problems with being able to make the payments and purchases that they need to make at the time that they are needed. Having petty cash available may lead to thefts, and requisition and approval processes can waste time. 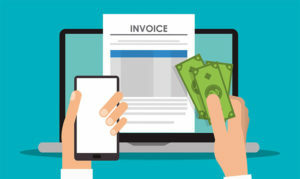 One solution that businesses have available to them is using pay cards for employees instead of these other types of processes. How are pay cards for employees used? Pay cards for employees are employee debit cards or credit cards that businesses give to their employees. Instead of spending their own money or waiting for purchases to be approved, the employees can simply use the pay cards for employees that they have been given. For example, a construction company can give a roofing employee a card that he can use at the local home improvement store with a limit of $1,000 to purchase the supplies that he needs. The card will only work for that purpose, and any attempt to spend money from it elsewhere will be denied. How can I find the best pay cards for employees? Finding the best pay cards for employees can seem difficult. You can start by conducting research online. Read reviews of different business debit cards that are offered in national publications and on trusted review sites. Fundera has identified what it considers to be the top five pay cards for employees. You can start there, taking time to learn about the features of each card. You can also research the cards yourself by reading about them in national publications such as Forbes or the Wall Street Journal. Some debit cards for employees can be used to reduce the risk of fraud while helping to prevent unauthorized purchases. For example, the Bento for Business Visa debit cards come with extensive expense management and control features. The cards allow you to set restrictions on each card according to what your employees need to be able to buy for their jobs. You can also restrict the cards by the amount. For example, you can set daily or weekly spending limits on each card and fund different cards with different totals, depending on what the spending needs are. Key features to watch for in the best pay cards for employees include the availability of expense controls and your ability to turn individual cards on or off remotely. The cards from Bento for Business allow you to turn an individual card off from your smartphone by tapping a button. You can also turn cards on in an instant such as when you have a new employee or want to turn a card on for a single purchase. You are also able to manage what your employees are able to spend. For example, if you have a delivery driver who works for you, you can give him a card that he can use for fuel with a daily limit of $50. You can also restrict the card to only be used to purchase fuel at specific locations of your choice. What can pay cards for employees be used for? 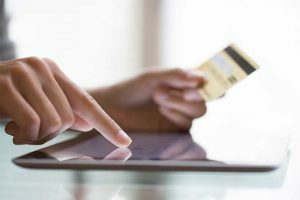 Where can I use my employee debit card? The Bento for Business Visa cards are Visas, meaning that they can be used anywhere that Visa is accepted. You can decide what you want your employees to be able to purchase with their cards and can restrict different employees from being able to make purchases at different locations. For example, your office manager might be able to use his card to purchase office supplies at Office Depot while your driver might be able to use his card at gas stations to pay for fuel at the pump. If your office manager tries to buy fuel with his card, the purchase will be declined and you will be notified. Saving receipts can be a real headache, but your company must keep its receipts for tax purposes and audits. Some employees may fail to turn in their receipts, forcing your accounting staff to try to track them down. Over time, the ink on receipts can fade, making them illegible. These problems can be eliminated when your company uses the Bento debit cards. One of the features is the ability to take photos of receipts. 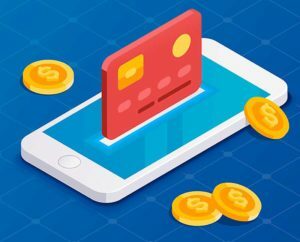 The cards can be integrated with your accounting software, allowing the transaction data and the attached receipt photos to upload automatically. You will then have the records of the receipts that your company needs without having to worry about losing them. Why is it important to have expense tracking for your employees? If your business does not have good expense tracking, it is easy for your expenses to balloon. Employees may not track what they are spending carefully, and some of your company’s money may be lost to waste and abuse. Some employees may abuse your goodwill by stealing money from you if you do not have good expense tracking. Many small businesses have weak controls because of a lack of resources. Expense tracking can help you to tamp down out-of-control expenses and identify problematic areas. Using debit cards can help you to track your company’s expenses by the employee or by the department, helping you to identify patterns that need to be addressed. Business fraud is common and can affect companies across many different industries. A case out of Alpharetta, Georgia demonstrates the problem of employee fraud. A 40-year-old woman, Jennifer Savino, was employed by Honey Baked Ham in its accounts payable department. She allegedly wrote fake invoices and sent fake payments to a non-existent company for cleaning services. Savino stole in excess of $16,000 by writing five fraudulent checks. Savino told investigators that she sent the checks to a friend in Florida. The friend would cash the checks and send Savino the money. Savino reportedly said that she committed the thefts because she was addicted to painkillers. Choosing debit cards from Bento for Business is a good choice for businesses because of the extensive controls that businesses can have over the spending that occurs at their companies. In addition to the features, Bento offers a variety of packages to meet the needs of small and large businesses. You can get up to 10 cards for $29 per month, and there is a free 60-day trial. To learn more, call 866.220.8455.